It puts the lotion on it's skin...and sits through another red again. 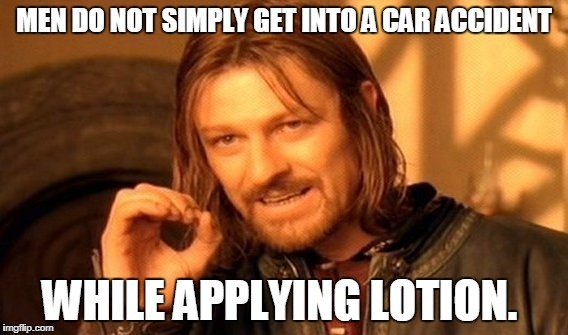 Seriously though...why come you need to lotion while you're driving? Not specifically while driving, just in general. Though being out and about seems to dry the skin more it seems.This time of year at least! 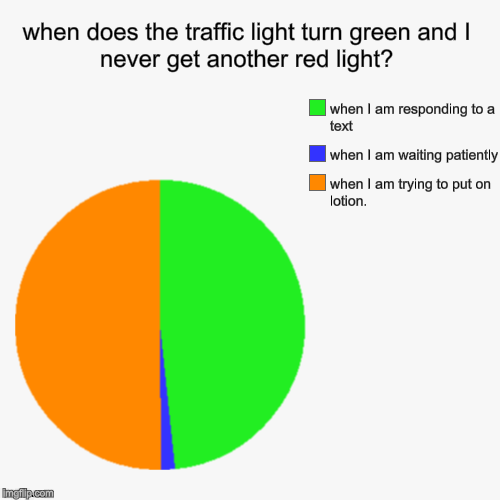 So I wait for a red light to put a little lotion on my hands. I know if I want all green lights all I have to do is get a big glob of lotion and VIOLA! Green lights all day baby! I would try it, but then I'd get in an accident and get accused of doing something...weird.